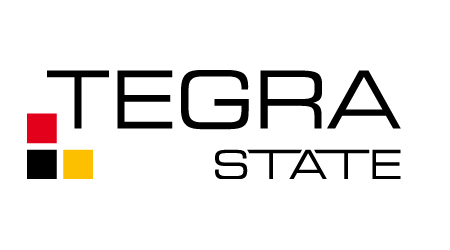 JSC “Tegra state” is a wholesale company focusing on development and distribution of building material (adhesives and sealants) and other products (plumbing and garden products, household goods). We are a part of Tegra Group which employs 65 people and has over EUR 18 mil in revenue. The company is operating since 1995 with headquarters in Vilnius, Lithuania. We are exporting our products to Nordic, Middle & East European, Asian markets and we have sales offices in Moscow, Russia and Riga, Latvia. We are a fast growth company with gazelle nominations for 2012, 2013, 2014. In 2017 we are planning to open new sales offices in Scandinavia. The company also owns creativity center “inTegrahouse” which is designed for corporate managers’ excellence, leadership development and it is also our integral and holistic decisions finding space. Tegra employees are given the opportunity to go through innovative workshops and gain new experiences and insights in the process. You can find the video about inTegrahouse here. Being a fast growth company we are in a process of expanding throughout Scandinavia. We have already established operations in Norway and Finland. The following market is Denmark. Therefore we are looking for a student or a group of students to help us explore and capture the potential of a Danish market. As a result of the research we expect a report including structured database of companies interested in distributing our products or partnering with us. We are highly flexible to collaborate with you on this project. It can be done as an internship, bachelor/master thesis or semester project. We are open to adjust to your research question and provide required data as long as the project objectives are met. Besides, for a student selected to this project we are offering a unique opportunity to provide several days product and leadership training at our HQ in Vilnius, together with our CEO, Export Managers and Brand Managers. As a part of the training we would also arrange a special event at our creativity center – inTegrahouse – to provide you with an innovation practice. All travelling and accommodation expenses will be paid by the company. In order to successfully go through this project we expect you to be proactive and able to establish and nurture business connections in the local market. We will provide all needed support about our product portfolio and sales related information in English and local language if needed. If the project is successful, we expect to hire you as our Sales Representative for Danish market with the result oriented compensation system.